They have been doing good breaking barriers and show not so common stories in GMA. 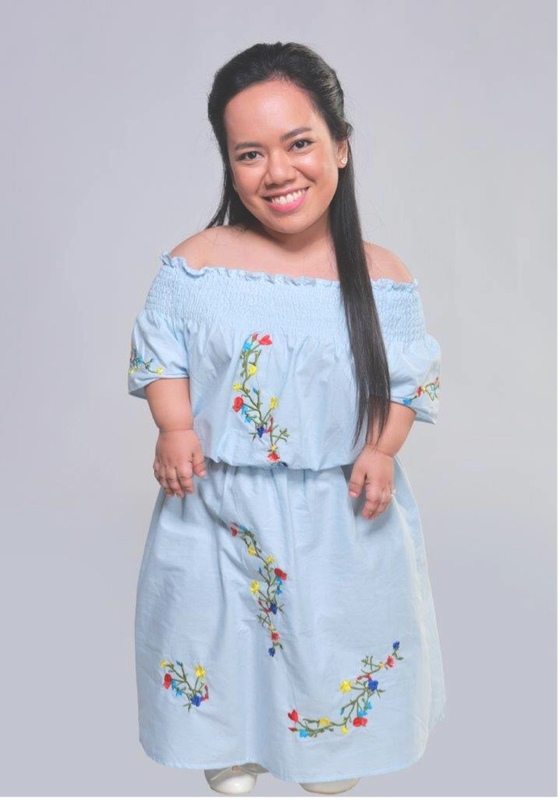 From LGBTQ themed shows like “My Husband’s Lover”, the recent HIV related one “Hindi Ko Kayang Iwan Ka”, now they delve into a serious case of Achondroplasia, a bone growth disorder that hampers growth. In the series, they are also introducing a lead star named Jo Berry. I could imagine living in this condition, people, even kids would probably taunt you. It’s a vicious cycle and this has happened to me in the past, it was solved when hormones kicked in but I’m so sad for those who didn’t grow an inch since highschool. Now think about it, she is living that her whole life. Add to that the reality of actually giving birth to normal kids, one who is kind and fights for you, the other one ashamed and be glad to get rid of you. Onay only dreamed of a regular life, but her case will only have judgement, fear of living everyday because society doesn’t give her the opportunities and rights she deserves. Her daughters will be played by teen stars Mikee Quintos and Kate Valdez, which by the way will have different fathers according to the story. Included also in the cast is the one and only Superstar Ms. Nora Aunor who will play Onay’s mother Nelia. This is also the comeback of Wendell Ramos, with Adrian Alandy, Gardo Verzosa, Vaness del Moral, Rochelle Pangilinan, Enrico Cuenca and the gorgeous Cherie Gil. Now this is a bit complicated, but do know that they have big shoes to fill because they Biguel show they replaced has been so good on ratings. Watch it everyday in the same time slot, GMA’s Primetime. They start today! Just like you I say ONANAY what’s my name? in the shower LOL!